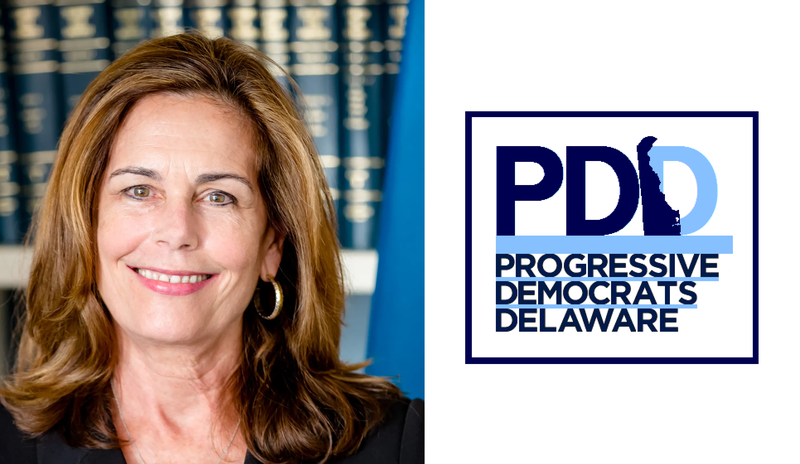 At the Progressive Democrats for Delaware‎’s monthly meeting on Thursday, April 11th at 7 pm, Attorney General Kathy Jennings will speak on her plans for criminal justice reform and the prospects for Criminal Justice Reform bills that have been or will be introduced in the General Assembly. Then, after AG Jennings’ presentation, representatives from the Coalition for Smart Justice will discuss how we can pressure Delaware lawmakers to pass meaningful criminal justice reform this year. The meeting will be held at the Delaware Democratic Party Headquarters, located at 19 E. Commons Blvd, 2nd FL, New Castle, DE 19720.